We are revamping our online presence: Lots of fun stuff coming in this summer! 50% off ALL Christmas items throughout the store! You won’t be disappointed. Local support to small businesses goes a long way! For that we want to thank everyone who has continued to support Decoration Day and the rest of the small businesses in Larchmont. It’s hard to believe that the holidays are right around the corner! With that comes endless holiday parties–whether you like it or not. If you love this season and are planning on entertaining, we’ve got you covered! We have some fabulous new bar carts/tables (like the one pictured above) that will give the perfect holiday party touch and will impress your guests. Below are various bar carts/tables that we are selling (though not in the store but available to order). Tell us what you want and we will make sure you are prepared for your parties! Larchmont is celebrating its 125th anniversary. Since Decoration Day has been a part of Larchmont for 29 years we want to show our appreciation to the community! 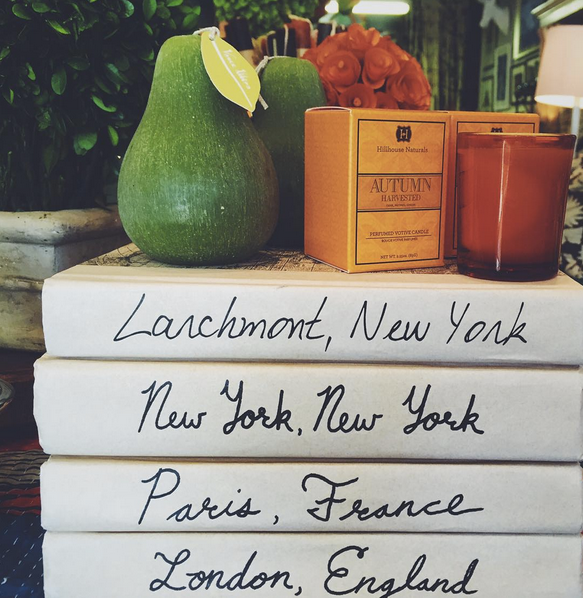 We are honored and grateful to be able to watch the Larchmont community grow and change throughout the years. The success of the community has enabled companies like our own to be here for this long–not to mention the patronage and loyalty from the residents! Thank you Larchmont for everything that you have done for us! People tend to ignore the architect of their house. With this being said, it’s (encouraged) important to understand the layout and style of the house before decorating and furnishing it. If you live in a tudor, the floors typically have very dark wood—also known as an espresso color stain that people like. In contrast, very light walls (white) and contemporary art and furniture are congruous to that style house. Having a multi-era look in a house doesn’t always work. For example, a 70s built house does not mesh well with a theme of a mid-century style house. For split level houses, it wouldn’t look appropriate to have an english colonial feel to it. We all love to make a grand entrance. Why not incorporate that in your house? The entrance of your home is where you welcome people and give them a glimpse of who you are. It’s (usually) the first part of the interior of your house that people see. The entrance to your house says something about you. There are some things that you can do to ensure that people will be envious when they walk into your house. If you have a smaller entrance: Don’t panic! Just because you don’t have more room to work with doesn’t mean that it will be just as beautiful if you were to walk into a grand hall. 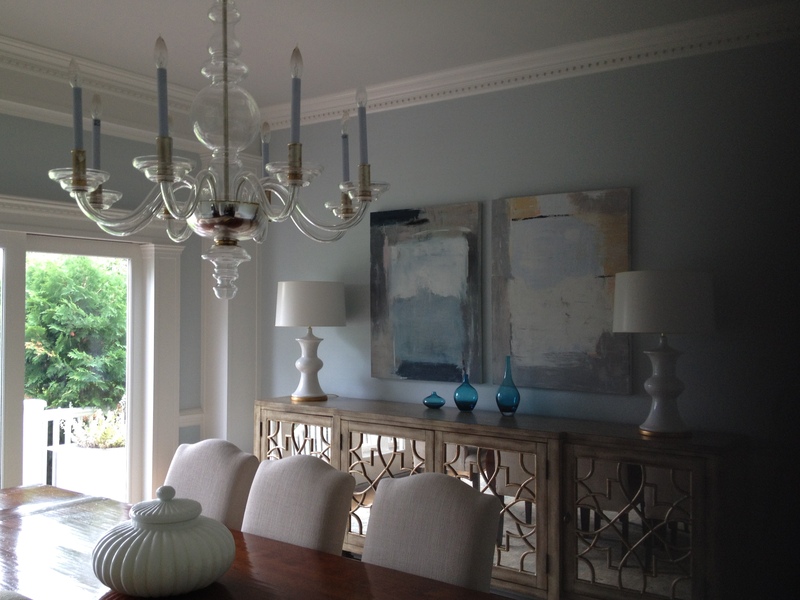 You can exaggerate your framing with interesting or architectural molding to make it more dramatic. 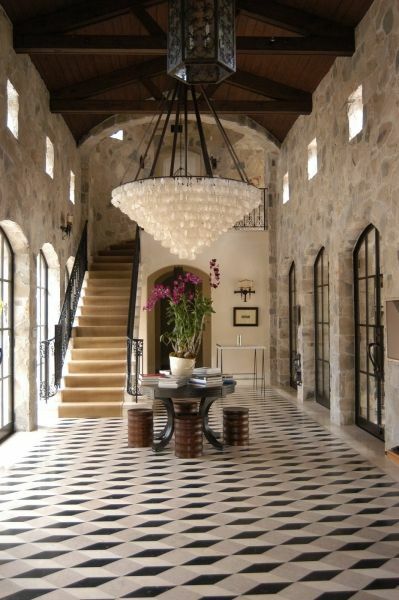 If you have a bigger entrance: Overhead lights, big mirrors and vases with fresh flowers are just a few of the many details that will make your entrance beautiful. Keep in mind however, that you don’t want to fill the entrance room with so much stuff that it’s overwhelming. Simple can be just as beautiful and unforgettable. You can also put some sort of seating with a fabric or cushion that has a pattern that you can incorporate throughout your house. -Having a great (and practical rug) can really give character to the room. -Paint the walls a color that’s different than the rest of your house. Something that you love and says something about who you are. Are you ready to explore patterns and fabrics in your home? If so, read on! The key to mixing patterns on tiles or wallpaper is to size and scale each pattern. What do I mean by this? Well, for all you starters out there, it’s not as hard as it seems. First things first: Do the patterns have an element that relate to each other? What exactly is your theme to your room? Is the common factor a round shape? A geometric shape? These are things to consider. Here’s an interesting fact: Years ago, people would mix tiny checks and plaids with florals. Now, these prints are mixed with the herringbone pattern with large-scaled geometrics or florals. Some people think that floral pattern fabrics are out, but the new version (or modernized version) of the the old english flowered chintz is a linen fabric with water color painted flowers. Now, if you have a smaller room you’re probably wondering what patterns and textures work. There’s good news: sometime’s putting more furniture in a smaller room actually makes it look bigger (or cozy). It’s important to accentuate the hight of the room. If you have windows, hang your window treatments higher than the top of the windows to make the walls look longer. Home myth: Painting a room darker makes it look smaller. Home fact: Painting a room darker makes it more dramatic and you don’t pay attention to the size. What really makes a room appear smaller is filling it with oversized furniture.